If you yearn for the lion’s rasping roar beneath an African moonlight you know it is time for a trip to the Kalahari! You know Africa has hooked you for life when you have tasted the dust or the scent of the first Africa rain. When you long to hear the haunted sound of the Jackal or listen to the rumbling of the elephant – you’ve been away too long. 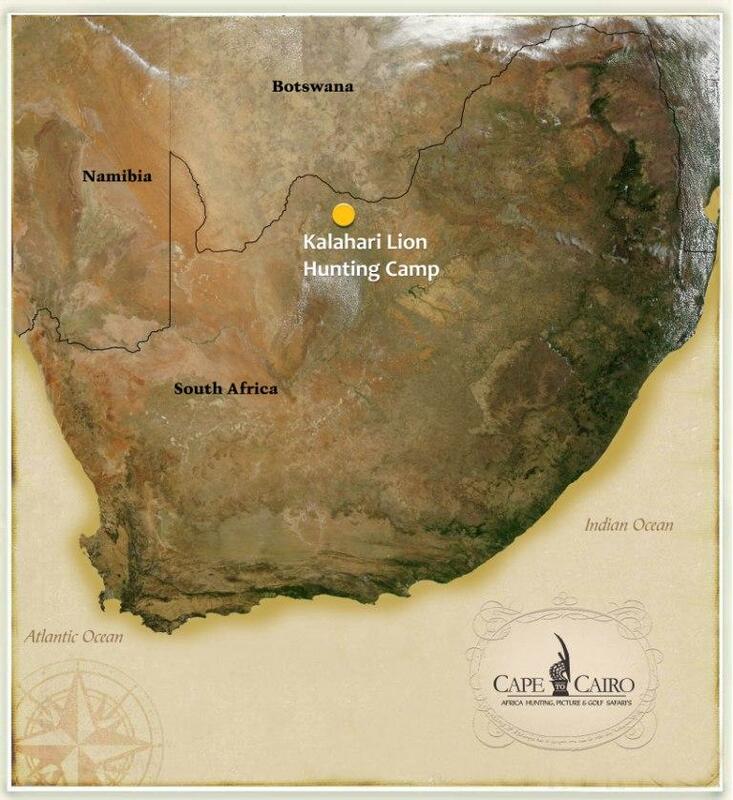 The Kalahari hunting ranch is located approximately 5 hours drive from Johannesburg International airport or alternatively an hour flight from Lanseria Airport in Johannesburg. This 47,000 malaria free acres concession is located in the Kalahari Desert, next to the Botswana border. The habitat is Kalahari desert/grasslands and features stunning Camel Thorn Acacia trees. The area has an average rainfall of only 16 inches per annum, and hunting area is completely Malaria free! Experience the luxury of an African Dream! Luxury accommodation with stylishly designed African Architecture and décor. All bedrooms are air-conditioned and en-suite. King sized beds or twin three quarter size beds are available for a good nights rest.The cuisine is superb, combining the best of international choices combined with intriguing flavors of Africa. Special needs will be catered for. 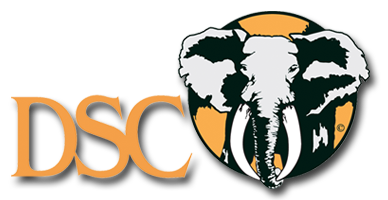 47,000 Acres of prime Savannah and is home to some of the finest trophy quality Lion, Leopard and Kudu to be found in South Africa! On this beautiful property you will find Lion, White Rhino, Cape Buffalo, Leopard and 31 species of plains game including Sable, Waterbuck, Nyala, Kudu and Letswe. Suggested Calibers: For Lion Hunting we recommend at least a .375 caliber. It is a good utility weapon and you canshoot anything from a Springbuck to Cape Buffalo and Lion. For smaller plains game a 30-06 0r .300 will be more than adequate. At your service will be 4 qualified professional hunters, 5 full time trackers, 4 full time qualified skinners as well as maintenance and domestic staff.